Dave and Busters hits Albany! Posts from bloggers about businesses are not to be perceived as an endorsement or promotion from The College of Saint Rose. Opinions expressed are from bloggers themselves and meant to offer insight into life in the Capital District. Enjoy! Yesterday, I had the wonderful opportunity to try out “Dave and Busters“, which opened at Crossgates Mall last week. Different from the other restaurants at the mall, Dave and Busters not only provides you a place to eat, but a place to have fun too. 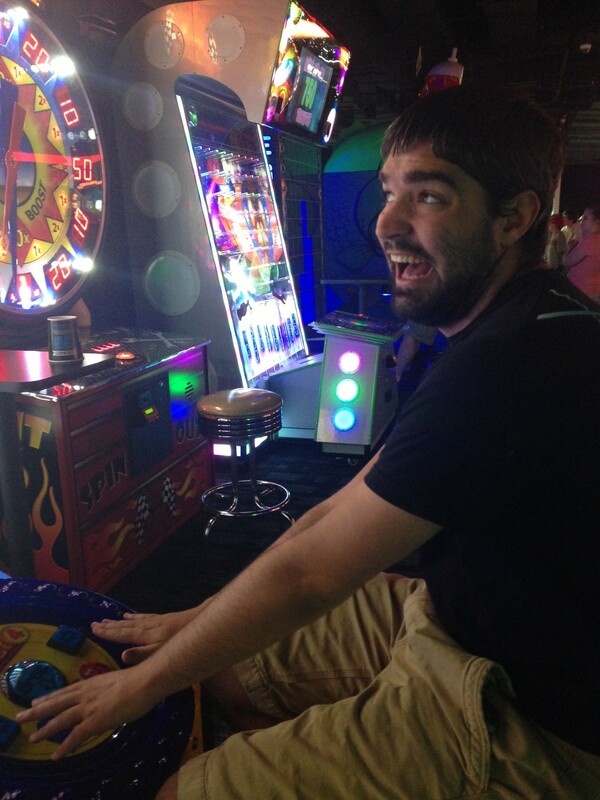 For those of you, like myself, who are from Long Island, you should already be accustomed to Dave and Busters. There are about 3 of them within a 15 mile radius of my house. So for me, I walked into the restaurant with a preconceived idea of what to expect and how things operate. My friend and I decided to do dinner and then play games and we did just that. The atmosphere and the food were awesome. You have the option to dine at the bar or in a restaurant setting. The menu is vast and provides opportunities to bundle your food and your gaming by purchasing meals and getting a “power play” card for the games. We ended up doing that, which was a great idea. We didn’t have to wait in lines to purchase a card and add points to it because it’s done for you at the table. The service was okay, but we did wait a bit for our drinks. The place is new, so I gave them some slack! The gaming area is a lot of fun BUT deceptively small. There are a lot of games to choose from, but the room isn’t as big as it appears. The use of mirrors on the walls gives the illusion that the room is huge, when in fact it’s not too large. For those of you who have been to Dave and Busters in Providence, Rhode Island or Farmingdale, New York, you will immediately notice a difference. But, despite the size, there was plenty to do and a lot of fun for all. My personal favorite was the life size “Connect 4” game. I would recommend it! Overall, the experience was great. There weren’t too many people there, probably because it was the early evening on a week night. I look forward to going back soon.